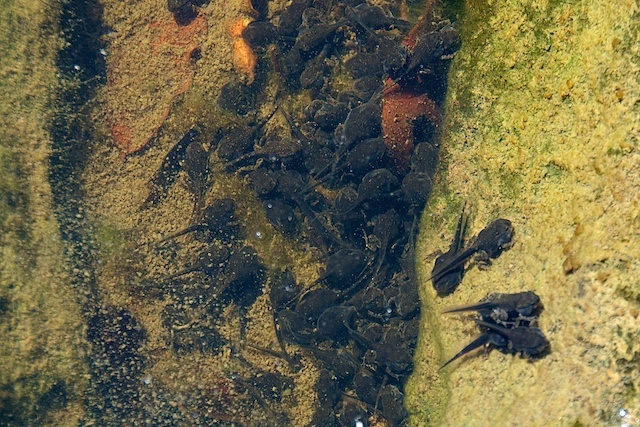 The tadpoles look dark grey rather than black and longer rather than rounder. With luck, they are a native frog. Some little legs showing there, can you catch a couple of froglets and get them identified?